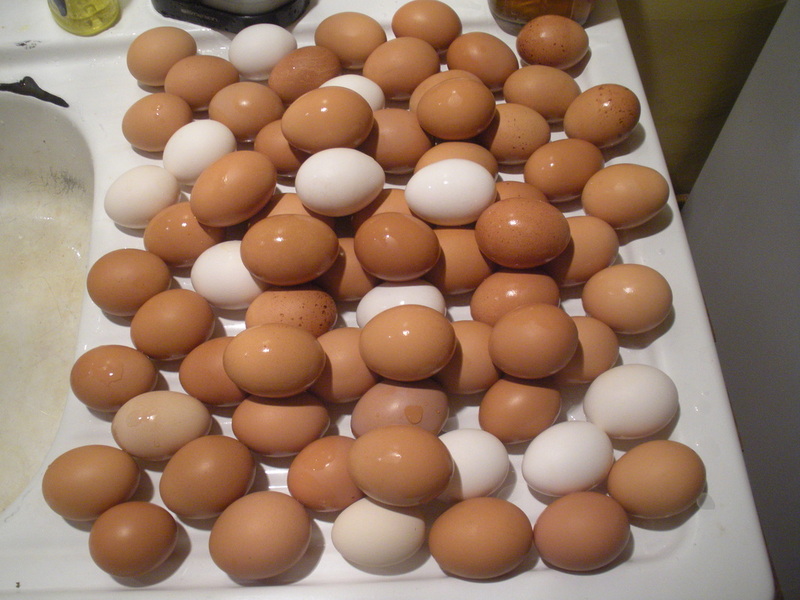 We sell eggs for $2.50 a dozen. We go out and feed and water our chickens everyday. Our 35 chickens eat laying mash, whole corn, and leftovers. When they go outside, they like clovers and grass. We get about 30 eggs a day. We only have hens, we do not have a rooster, so do not worry that there is a baby chick in your egg. Did you know that hens still lay eggs even without a rooster? 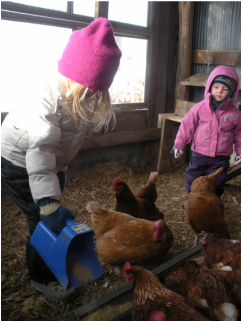 We never use machines to take care of our chickens. We saw a movie where people had so many chickens laying eggs that they had to use machines. We felt sorry for those chickens in the movie. After that, we don't even like to eat store chicken. Our favorite way to eat eggs is dippy eggs. A dippy egg is a fried egg and the yolk is still dippy. You can dip toast or bacon in it. We like to eat eggs scrambled with our sausage. We like to eat deviled eggs at parties. Clean eggs waiting for cartons!